Mother Bethel African Methodist Episcopal (AME) Church, the first African Methodist Episcopal Church in the nation, was founded in Philadelphia, Pennsylvania in 1794 by Richard Allen, a former slave. Richard Allen founded Mother Bethel AME after the church he had been attending, St. George’s Methodist Episcopal Church (MEC) in Philadelphia, began segregating its parishioners by race. The perceived need to segregate white and black parishioners at St. George had its roots, ironically, in the preaching of Richard Allen who had been an itinerant preacher and in 1786 began preaching a 5 a.m. sermon at St. George. Allen’s sermons proved so popular with black Philadelphians that St. George soon became overcrowded. As black attendance at the church increased, however, so too did race prejudice. When the ruling body at St. George decided that blacks should be segregated and seated in a newly constructed balcony, Allen and his followers decided it was time to leave and start a new church. With financial assistance from individuals such as Dr. Benjamin Rush and President George Washington, Allen purchased a piece of land at 6th and Lombard streets in Philadelphia. He also bought an old blacksmith shop and moved it to the 6th and Lombard location. The Blacksmith Shop Meeting House, as the structure came to be called, was remodeled into a house of worship and dedicated on July 29, 1794. The pastor of St. George, the Reverend John Dickins, suggested that the new church should be called “Bethel” for the gathering of thousands of souls. The church still carries this name today. Just one year after its founding, Bethel’s congregation numbered 121. Ten years later, in 1805, the congregation had grown to 457, and the church decided to expand. Two lots adjoining the original 6th and Lombard site were purchased and a new building was constructed to replace the original Blacksmith Shop Meeting House. 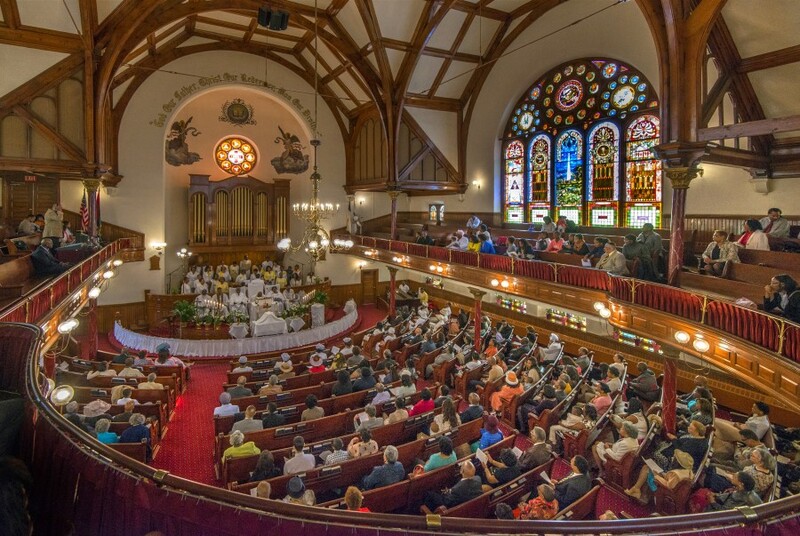 Although technically still part of the predominantly white Methodist Episcopal Church, the Bethel congregation limited membership to “descendants of the African race” in an attempt to retain a degree of autonomy. Limiting membership to African Americans, however, did not quell disagreements between Bethel and the Methodist Episcopal Church over issues such as the choice of pastors and property ownership. The courts ultimately decided in favor of independence for Bethel, and in 1816, the 1,300 member congregation joined with black congregations from Baltimore, Maryland, Salem, New Jersey, and Attleborough, Pennsylvania to form the African Methodist Episcopal (AME) Church. Allen served as the first bishop for the African Methodist Episcopal Church. 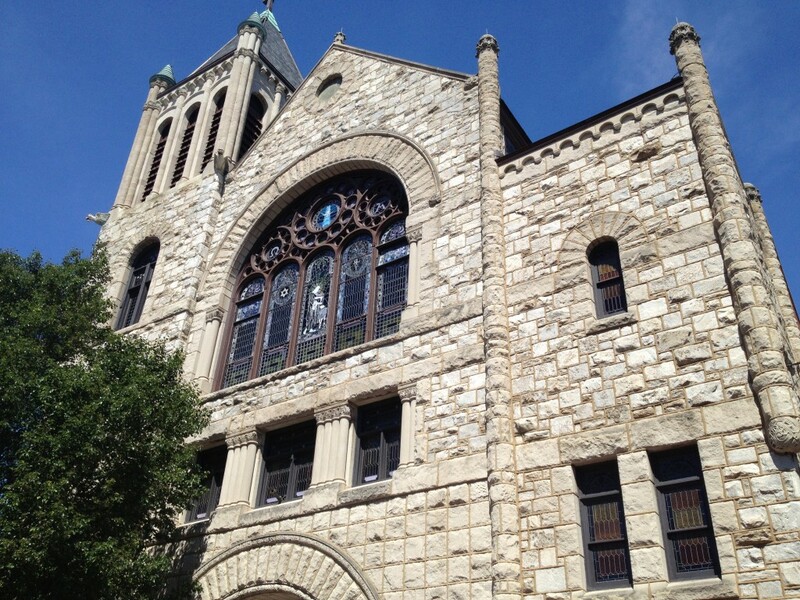 Bethel AME Church has a long history of engagement with civil rights issues. In 1795 the church provided refuge to thirty runaway Jamaican slaves. In 1817 Bethel hosted a meeting where approximately 3,000 people of African descent protested the formation of the American Colonization Society (ACS), which sought to resettle free blacks from the United States to Sierra Leone. 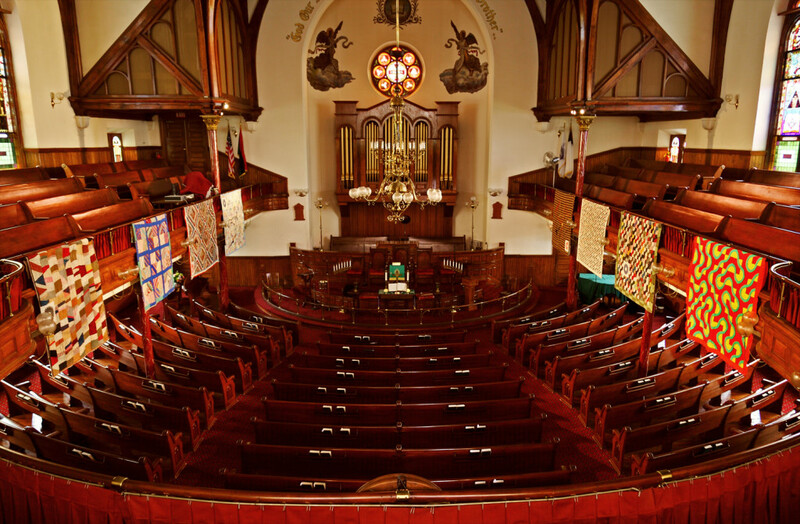 The church provided financial support to the Underground Railroad, and following the Emancipation Proclamation of 1863, it helped ex-slaves who began migrating to Philadelphia. Lucretia Mott, Frederick Douglass, and Martin Luther King have been among the many distinguished leaders who have spoken at Bethel AME. In 1953 the word “Mother” was added to the church’s name and women were permitted to participate in the business of the church corporation for the first time. The church has been remodeled twice since 1805, the last time in 1889 when it moved to its current location on the Southeast corner of Sixth and Alfred (now Addison) Streets. Mother Bethel still has a vibrant congregation today.